The SureFire EB1 Backup is an amazing compact dual-output flashlight that is capable of producing a 200-lumen maximum output. This light can be used as a backup for patrol officers or as a duty light for plainclothes officers. It is also perfect for everyday use and carry, outdoor applications and self-defense. Featuring a virtually indestructible LED emitter and a precision Total Internal Reflection (TIR) lens, the EB1 creates a beam with the optimum configuration for both reach and situational awareness. This works well for identifying threats and overwhelming the sight of adversaries. You can switch over to the 5-lumen low mode to use for tasks such as reading maps, checking an ID or navigating in low light. This is an important feature for outdoor or emergency situations since it can run on low mode for 40 hours. A convenient pocket clip allows you to carry your flashlight wherever you go. Please Note: This item cannot be exported from the USA. 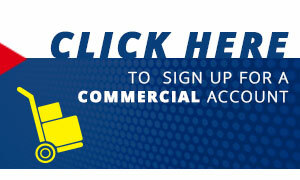 The only exception is for APO/FPO and similar addresses with a US zip code. Ordered this from battery junction and the first model I received had a few imperfections to no fault of battery junction (noticeable nicks, off centered led, click button didn't feel right). Quality just seemed off for surefire. 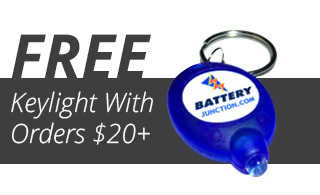 In any event, battery junction made it very easy to get an exchange. I own multiple Surefire products and was looking to add to the collection. I own many black flashlights so the silver fits right at home.